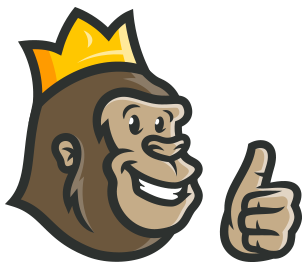 • AHTI Games Casino Review - Worth Your Time? AHTI is the name of the mighty sea king, and ruler of the grand AHTI kingdom. Or at least that’s what it says in the introduction to this online casino. The sea king invites you to fish for rewards in this watery kingdom, which boasts over 2,000 games in total. 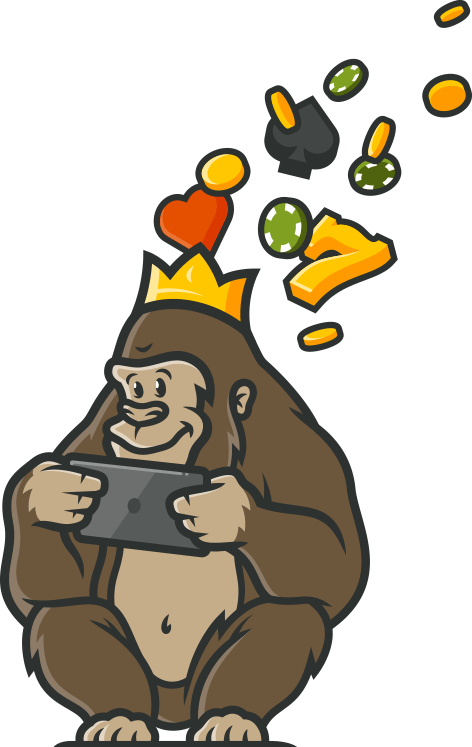 The Casino Gorilla has never been much of a swimmer – takes too long to dry out all that hair – but he is keen to dive into this online site to see what it has in store. Before dipping a toe into the waters of AHTI’s domain, let’s find out what kind of a welcome bonus lies in store for new players. The bonus is a little unusual here, perhaps that is apt for a pretty unusual online casino. For every pound that you deposit you will earn a ‘super spin’ which is basically a more expensive version of a free spin. Normally a free spin is worth about 10p, so the fact that these super spins are worth 50p each greatly increases a chance of a win. The 30x wagering requirement on deposit plus bonus is not low, but not the worst out there either. As we have mentioned above, these are specially boosted super spins rather than your regular free spins, even though they work in exactly the same way. The spins can be used on the excellent Viking Runecraft game, a suitably nautical way to start your slot gaming adventures at AHTI Casino. Play at the slot gaming tournaments for the chance to win both free spins and super spins if you can beat out the competition. There are boat-loads of promotions and offers available at this site, which is why this casino has made a real splash since launching in 2018. You do not need to enter a bonus code if you want to claim the AHTI welcome bonus. Simply make your qualifying deposit of at least £20 and you will earn the equivalent amount of super spins. There are plenty of treasures to be found at the bottom of this oceanic casino, so don’t forget to keep a close eye on the promotions page to find out what is up for grabs. AHTI Casino has got you covered when it comes to slot gaming, but what about live casino games? Have no fear, because there is an enormous selection of high-quality live dealer games to choose from at this casino too. The grand total comes to 70 live games, albeit with a very strong emphasis on the big two games of blackjack and roulette. These games come in just about every variation you can think of as well as a number of different languages. Besides these there are a couple of baccarat games, casino hold ‘em and Dream Catcher. And that’s about it! For such a large selection, the Casino Gorilla was a little disappointed to find just one poker game and so little variation. Room for improvement here! No complaints about the mobile version of AHTI Casino though. The casino is laid out in such an intuitive way that it doesn’t matter what kind of device you use to play on the site. Whether you prefer desktop, tablet or phone, you will be able to enjoy a fantastic gaming experience here. Android and Apple users alike can thrill to the real money gaming action no matter where they are. Just remember to make sure you have a solid wifi connection, especially when you are playing the live casino games which require a bigger bandwidth. The UK and Maltese gaming authorities are two of the strictest regulators in the industry, demanding only the highest standards from their licence-holders. If that’s not enough for you – and it should be! – this casino also holds licences from both the Swedish and Danish regulators. With all those governing bodies checking that everything is ship-shape you need have absolutely no concerns about fairness or security at AHTI Games Casino. The games are regularly checked to make sure they pay out fairly and correctly, and all transactions are fully encrypted to make them tamper-proof. You should make the FAQ section your first port of call if you are looking for answers from AHTI Casino. Most of the big questions are answered here. For those queries relating specifically to your account you may need personal assistance from a member of the customer support team. In that case you can get in touch either via email or live chat. There are also various social media channels which you can use to contact the site as well. Not everybody is welcomed beneath the waves by AHTI, and if you live in one of these countries you won’t be able to register: Greece, Australia, Portugal, Singapore, Iran, Czech Republic, Slovenia, Estonia, Romania, the Republic of Cyprus, Italy, Israel, Turkey, the German State of Schleswig-Holstein, France, Mexico, Spain, Belgium and the USA. Players based in Bulgaria and Slovakia are also restricted from playing any of the live casino games. AHTI Games Casino – to give it its full name – comes from the respected Skill on Net Ltd operators, who are also responsible for many other casinos like Vegas Winner, Red Kings, Slots Magic and Play Ojo (to name but a few). They have used their experience in the industry to come up with a player-friendly site with a beautiful design, which offers loads of games and plenty of rewarding bonus offers. This is one casino that definitely won’t sink without a trace.